Justin Bieber took over Tel Aviv grounds in Israel despite his involvement in political controversies and paparazzi intrusion, which spoiled his three-day vacation. As part of his world tour, the young pop star was set to perform on an outdoor concert in Tel Aviv, one of the most populated cities in Israel. He decided to spend the week visiting holy places and sightseeing. But, he was besieged by his adoring fans and swarmed by the country’s aggressive press media. On his Twitter account, Bieber complained he was “super frustrated” and spent the rest of the week in the hotel. Newspaper reports did not improve his mood either. The report says a proposed meeting with Prime Minister Benjamin Netanyahu of Israel did not push through after the Canadian singer allegedly declined to meet with the invited children affected by violence from south of Israel. However, Bieber’s camp said the meeting was never finalized. Bieber’s spokesman said the plans to meet with the children and Israeli’s prime minister was unfortunately impossible in the end. Yet, Bieber had invited children from the region to be his special guests on his show held on Thursday. Bieber said in Twitter that he wanted to visit the country and see all the places that he had dreamed of. However, he said he is displeased to be pulled into politics along with the intrusion of paparazzi. Still, thousands of young girls showed up in his concert despite the week-long controversies in his tour in Israel. Many of them waved signs around and begged their moms to buy posters or t-shirts of their heartthrob idol. A flight from Delta Air Lines made an emergency landing over Florida last Sunday when the aircraft experienced an engine failure. Authorities said the plane landed with no injuries to the passengers or crew on board. 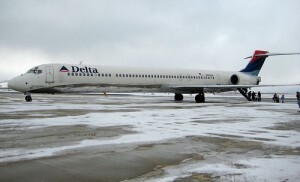 The Delta Flight 1846 was a Boeing 737-800. It had 119 passengers, with six crews on board. According to Anthony Black, the Delta spokesman, the plane was bound for Minneapolis. It had an engine failure soon after it took off from the city of Fort Lauderdale at around 7:30 in the morning, local time. Black said the captain received a warning indicating possible damage to one of its engines while they were taking off. The captain shut down the engine as a precautionary measure and decided to go back to the airport. In the Fort Lauderdale airport, the plane landed safely and without any incident. The passengers were brought back to the gate while the plane was examined by fire rescue and aircraft officials, said spokesman Allan Siegel from Florida Aviation Department. Siegel added that representatives from the Broward Country Sheriff’s Office then found several pieces of what seems to be parts of the ruined engine from a particular area around the airport. The passengers were subsequently transferred to another Boeing 737-800 aircraft. Black said the flight was en route to Minneapolis. However, the replacement craft was not part of the flights going in and out of St. Paul International Airport that were canceled because of immense winter weather in Minneapolis on Sunday. United Parcel Service reported a quarterly profit that beat the estimates of analysts, increasing their shares by more than 4 percent. The largest package delivery company in the world predicts record-high profits in 2011. Analysts said that there were several factors that are driving the company’s performance. These include price increases last year and early this year, the increasing volume as the economy recovers, and the use of technology that has improved productivity. UPS manages goods equal to 6 percent of the gross domestic product (GDP) in United States and 2 percent of the GDP in the entire world in its planes and trucks. Its shipment trends provide a concrete picture of consumer demand, the company said. According to Chief Financial Officer Kurt Kuehn in an interview, UPS is walking out of recession stronger and nimbler than ever. Their company is a little more optimistic on the U.S. economy, but global growth will be more patterned. 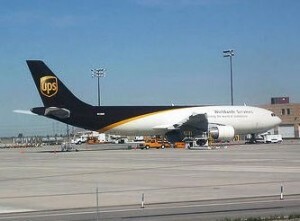 UPS calls for moderate global growth in 2011. It said they controlled costs as compensations and benefit expenses increased less than volume. Sterne Agee foresees UPS shares increasing to $100 on the following 12 months. It cited the company’s capability to recapture costs by elevating prices and internal controls. The shares of the company were up 4.3 percent or $3.08 at $74.74 in the afternoon trading. Its shares last attained $75 in December 2007, a UPS spokesman informed. BB&T analyst Kevin Sterling said UPS already thinks they can exceed peak earnings in less than two years from the start of the recession. Clients of Goldman Sachs Group Inc who are thinking of buying shares in the closely held social networking site, Facebook Inc. should pay attention for Wall Street’s most profitable firm might release its own holdings without any warning. The firm, in its one-page investment profile that was sent to private wealth clients, said in the last sentence that GS group may further reduce its exposure to investment in Facebook at any time, without letting the fund or investors in the fund know ahead of time. Facebook’s offering document that was obtained by the Bloomberg News shows that $75 million of the total $350 million invested in Facebook by Goldman Sachs is from the Goldman Sachs Investment Partners. This is a hedge fund that manages client money. The firm’s $375 million investment might possibly be cut down to $300 million because Goldman Sachs anticipates selling its $75 million shares to third parties or to the fund it made so other clients may buy a stake in Facebook. According to the offering document’s disclosure section, it said that there may be problems of interest regarding the underlying investments of the fund, as well as Goldman Sachs. However, the materials written in the documents are not guaranteed accurate or complete. Goldman Sachs spokesman Stephen Cohen refused to comment yesterday, as well as the spokesman for Facebook, Jonathan Thaw. 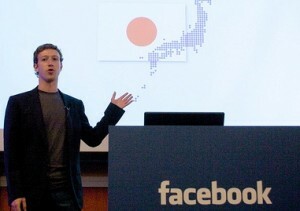 Clients of Goldman Sachs should make a minimum investment of $2 million by January 7 to get a stake in Facebook. Facebook has already more than 600 million active users every month, and 230 million of that has access to the site through mobile services.